Milwaukee Banks burst onto the scene in 2014 with debut single ‘Pluto Bounce’ – a track which received wide-spread acclaim when Noisey/Vice premiered the track and stated that they’d “realized Australian hip-hop could be done right”. They rounded out the year in prolific fashion by releasing an EP, a slew of remixes and collaborations with the leading lights of Australian underground electronic music. 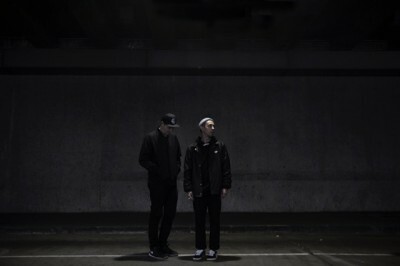 Influenced by the minimalist aesthetic of Cloud Rap and combining their unique flow and detailed electronica with southern hip hop beats, it’s a sound that continues to win fans. 2015 saw the duo perform stand-out sets at St. Jerome’s Laneway Festival and Golden Plains but they’ve spent much of the year locked in the studio in preparation for their first album ‘Deep Into The Night’ which will be released in early 2016.